The Berkeley City Council is on the verge of enacting a law that will prohibit the city from doing business with vendors that help ICE target immigrants. On Oct. 16, the Berkeley City Council is scheduled to vote on the Sanctuary Contracting Ordinance as proposed by the city’s Peace and Justice Commission. If implemented, the ordinance will prohibit the awarding of city contracts to vendors supplying ICE with data or extreme vetting services. Unfortunately, American businesses are often far too eager to put profit over values. For example, companies like Palantir, Vigilant, and data behemoths like Thomson-Reuters use more powerful technology to enable ICE to carry out President Trump’s hate-driven ideology. Local governments must join the tech workers’ revolts happening around the country and align with sanctuary and immigrants’ rights groups to have enough impact to change these harmful business strategies and counteract federal monies. Berkeley’s Peace & Justice Commission reviewed the ordinance after it was referred by the city council and unanimously recommended its adoption. The ordinance is sponsored by Councilmembers Kriss Worthington, Kate Harrison, and Cheryl Davila. The city of Richmond enacted a similar law earlier this year. Candidate Trump repeatedly called for surveillance of mosques and considered the idea of compiling a national database of American Muslims. As president, he has not wavered in his desire to intimidate and oppress immigrants. His proposed use of “extreme vetting” analytics tools against immigrants, including recently changed rules allowing the targeting of those who have already obtained a green card or naturalized citizen status, demonstrate that his xenophobia knows no limits. By joining Richmond and other Bay Area cities that are now considering this same ordinance, our combined municipal purchasing power can be leveraged to have a real impact that will lead to meaningful change. This concept is only in its infancy, and yet it has already cost Vigilant multiple contracts and a million dollars. It has become clear that in the Trump era, protection of our civil liberties must occur at the local level. Comments made by Trump and his cabinet members, and his executive orders targeting sanctuary cities and immigrants, make it more critical than ever that the Berkeley City Council do everything in its power to defend these targeted members of our community. 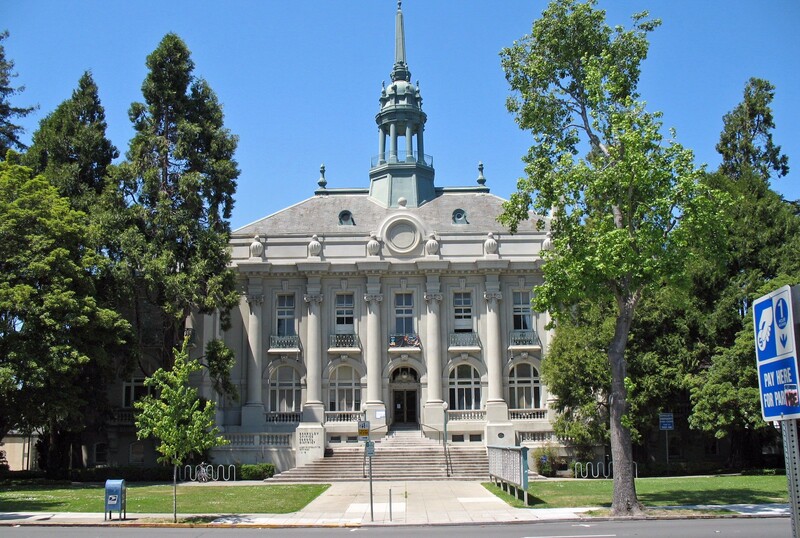 By adopting a strong ordinance, Berkeley can take a step closer to being a City of Refuge. Brian Hofer - Member of Oakland Privacy and the #DeportICE coalition, and author of the model sanctuary contracting ordinance. Sameena Usman - Government Relations Coordinator for the Council on American-Islamic Relations – San Francisco Office, member of the #DeportICE coalition. Miya Sommers - Coordinator for Nikkei Resisters, member of the #DeportICE coalition. Malena Mayorga is the Director of Immigrant Defense at Mujeres Unidas y Activas (MUA), and a member of the Alameda County Immigration Legal & Educational Partnership (ACILEP), member of the #DeportICE coalition.